Our yoga teacher training graduate Lauren recently caught up with advanced level Jivamukti yoga teacher and Wise Earth Ayurveda master teacher Katie Manitsas. They had a chat about Katie's upcoming ‘Yoga of Birth’ course here at Krishna Village and other yoga related topics. Aside from having been a yoga teacher for over twenty years, Katie is qualified in Kundalini Yoga, as a doula (childbirth support person) and holds the highest possible accreditations with both Yoga Alliance and Yoga Australia. Katie’s passion is in yogic philosophy and the seasonal practices of sadhana – bringing devotion and a sense of sacredness to everyday life. Katie is a published author of several books including ‘The Yoga of Birth’. Lauren: Katie you have many strings to your bow! Yoga teacher, doula, businesswoman, vegetarian cook, mother and activist. Before we get down to your upcoming course ‘The Yoga of Birth’ at Krishna Village… how did you come to activism? And how are these two things (yoga + activism) related for you? Katie: This is a huge question and I’m so glad you asked me it because it’s a subject I’m really passionate about. For me, we cannot separate our spiritual lives from our everyday practical lives, meaning we all have to eat and get around and live on this planet. At the moment, for the most part we are doing a pretty terrible job as caretakers of the Earth. I think as spiritual practitioners we can do better. For example, next time you use a paper plate or a paper cup or a plastic drinking straw ask yourself, ‘Would the Divine cut down a tree to make a paper plate and then throw it away?’ Most of us, if we enquire a little into our daily habits, can do better for the planet and the animals. It’s a logical relationship between an approach that isn’t greedy and consumerist and our yoga practice. Patanjali reminds us in the Yoga Sutras not to take more than we need and to live in compassion. So environmental activism is a big part of my work. I’ve also worked for People for the Ethical Treatment of Animals which is an organisation very dear to my heart. Lauren: Have you always felt that you’re following your dharma [purpose in life], or have there been moments of doubt in deciding to walk the path of a yogi? Katie: I’m very fortunate in that I came to yoga very young in life. I started practicing asana and meditation at the age of 13. When most people my age had a picture of their favourite pop star on their bedroom wall I had a picture of the Taj Mahal... I was longing to travel to India and I did so with a friend at the age of 16 (despite my parent’s concern!). I’ve been back many times since and haven’t stopped studying and practicing the ancient teachings of yoga. In fact I’ve tried to do other things (for example working in politics and animal rights advocacy) but yoga teaching is my dharma in this lifetime and nothing else quite sticks. I have always felt it a deep blessing that I have such a clear sense of who I am and what I am able to offer in the world. Lauren: What evolutions have you seen within yourself as you’ve become more experienced at practising and teaching yoga? Katie: Within my own practice I’ve seen a softening into a long-term approach because I know these practices will be with me for years. For example when I had my first two babies I was focused on getting my body shape and asana repertoire back as quickly as possible. But with the subsequent babies I am taking my time and working slowly and diligently and it is a calmer, more enjoyable experience. In terms of teaching I would say that after many years I now trust my intuition deeply. I often have a sense of what’s going on for my students both on a physical and subtle energy level and that ability has developed over a long time. It serves me very well in my teaching now. 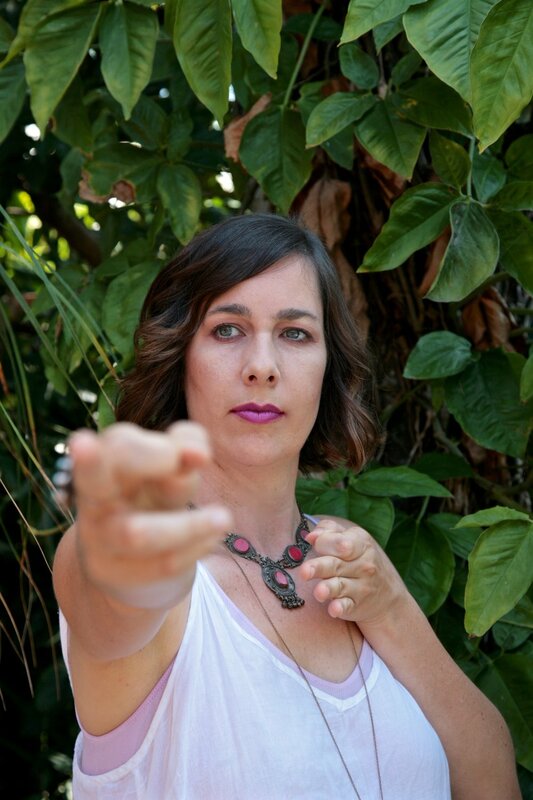 Lauren: Tracking back to dharma…did you always feel a call to work with women as a doula, birth facilitator and pregnancy focused yoga teacher? Katie: Yes! I love women’s work and my main mentors and teachers as a teenage girl and beyond have been women. It is ironic because I’m now the mother of four boys and I live with my husband, brother in law and elderly father in law. It’s me as the lone woman and matriarch in a household of seven other males! So working with women really balances that out beautifully for me. Lauren: The great kundalini master Yogi Bhajan said, “When a woman is pregnant, her metabolism and mental faculty go through tremendous changes. There is life within life, and it takes a lot of doing to keep the outer life, the woman, and the inner life, the child, in a balanced state”. This makes so much sense, yet our modern lives as women are so complex – particularly so, when living in the city, working long hours etc… What are your thoughts on the balancing act of ‘keeping up’ as a woman of the world and nurturing a pregnancy? Specifically to those women who are not able to stop working for example right up and into their last trimester. Katie: Although a lot of the pressure we are under as women (pregnant or otherwise) is external, the deepest pressure we are under comes from within. Many women are riddled with guilt, overwhelm and low self-confidence. The work we have to do is in part about slowing down and ‘doing less’ but it’s more about the inner work of true self-confidence. This means trusting our values and our intuition. Giving ourselves permission to do the things we love that are nourishing on a soul level. Also remembering that we all have different strengths and gifts to offer and focusing on those rather than the things we are not great at. This attitude serves a woman well through pregnancy but more importantly into motherhood. There is no such thing as a perfect pregnancy or a perfect mother but we can, each one of us, value ourselves and our contributions. This will benefit our children enormously and teach them to do the same. Lauren: Additionally and significantly you are a mother to four boys. As women, as yogis and for some of us as mothers, we can be so external and busy. Catering to the many roles of a woman. What practices do you integrate into your life to rest, digest and recalibrate? Could you share with us aspects of your daily sadhana to address this? Katie: My daily sadhana varies according to my schedule and other factors. The non-negotiable which I do every day is japa practice (mantra meditation on japa beads). Japa is my saviour and the grace in my life. I also consider home making for my family a spiritual practice. I put time and attention into making our home a sacred and cosy space and see this as an act of daily sadhana. Preparing healthy vegetarian meals is part of this practice too. 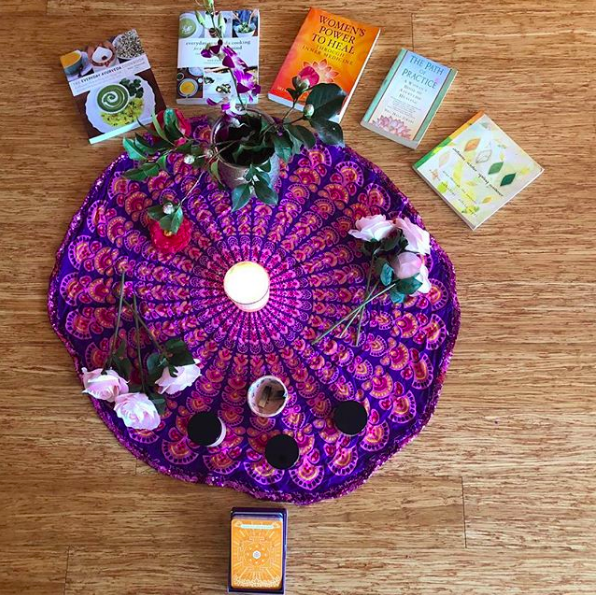 Lauren: Any other radical self-care tips beyond the realms of flowery baths that you could suggest to women across all stages of female health and growth? Katie: Japa meditation. There is no other practice that is as powerful, transforming, simple, accessible and magical. My teacher once told me that you can practice self-care whilst cooking, cleaning and gardening. Over years of reflecting on and attempting to practice this teaching I have found it to be true. This may be controversial but I don’t believe self-care is found in focusing on my needs. I am most nourished when I am in loving service of my family. That’s not a very popular ‘empowered woman’s’ message but it is the truth for me. That doesn’t mean I don’t do things for myself, I do. But serving others is a nourishing path to self-care if you find ways to work with love rather than resentment and a martyred attitude. Lauren: We are really looking forward to the upcoming 'Yoga of Birth' course. Who would the course be good for? Katie: It is a course designed mainly for yoga teachers to train them for adding prenatal yoga to what they already offer. After this training, yoga teachers will be able to offer dedicated pregnancy classes to their students. It’s a great way of adding another income stream to what you offer as a yoga teacher whilst working in an area that really serves women deeply. I also open the training up to pregnant women and other birth workers such as doulas because in the past I’ve been asked by these groups if they can join and I want to spread this work as far and wide as possible. The medicalisation of pregnancy and birth has made many women feel fearful and overwhelmed and I know from my personal experience that yoga in all its facets, not just asana, has the potential to heal that. Lauren: Thank you Katie for your precious time!